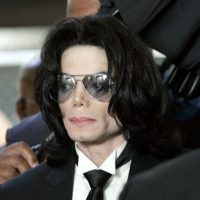 Kevork Djansezian-Pool/Getty ImagesLeaving Neverland, a new documentary about sexual abuse allegations against Michael Jackson, is coming to HBO next month. The two-part doc, which premiered at the Sundance Film Festival in January, will air March 3 and 4 at 8 p.m. ET/PT. The film will also be available on HBO NOW, HBO GO, HBO On Demand and partners’ streaming platforms. Leaving Neverland follows Wade Robson and James Safechuck, two men who claim that they were sexually abused by Jackson when they were children. Jackson’s estate has dismissed the movie as an attempt to “exploit and cash in” on the late King of Pop.